Confusion over the fate of families that were separated by the federal government at the U.S-Mexico border continues to reign, but the Texas-based company that houses nearly half of all undocumented children in federal custody said Thursday that it knows where the parents of all its separated children are located. The children are allowed to be in contact with those parents, as long as the separate federal facility where the parents are being held allows it, according to Alexia Rodriguez, vice president of immigrant children's services for Southwest Key Programs, the nonprofit company that shelters the children. Separated children housed at all other shelters should be in the same situation, since facilities are required to follow the same federal procedures, Rodriguez said. Her comments came during a meeting with Texas lawmakers and state officials about the ongoing crisis at the border. Though those lines of communication still fall short of reuniting families, they represent a significant point of contact. More than 2,3000 children have been split from their parents at the border under a new Trump administration policy of “zero tolerance” for illegal border crossings. While their parents were sent to jail to be criminally prosecuted for the illegal crossing, the children were sent to private shelters like those run by Southwest Key, which are overseen by the U.S. Department of Health and Human Services. On Wednesday, President Donald Trump signed an executive order he says will keep families together at the border. But it’s still not clear how the children who have already been separated will be reunited. Rodriguez said shelters like Southwest Key are working on placing children with relatives who already legally live in the United States — a longstanding policy that precedes the Trump administration’s recent changes. 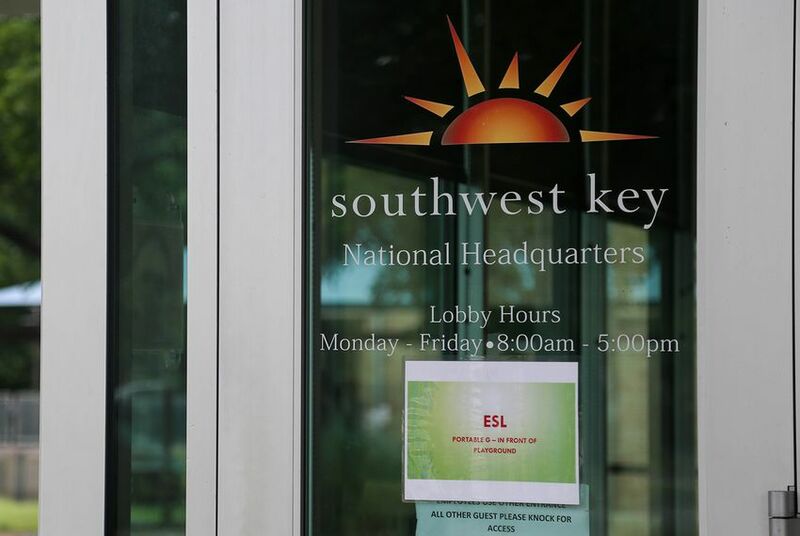 While Southwest Key facilities keep track of the parents of all the children in its care, Rodriguez said she is not aware of any children who have already been reunited with their parents since the executive order. An official with the federal Department of Health and Human Services told The New York Times on Wednesday that migrant children will not immediately be reunited with their parents. Attorneys working to reunite immigrant families have described a hectic, case-by-case system in which families depend on flukes — the whims of a deportation agent or the luck of finding a good lawyer — for reunification. The government assigns every undocumented migrant an "alien number," but it's not clear that all parents and children know each other's, or even their own. Rodriguez said she expects children who were separated from their parents at the border will be sent to immigration detention centers that can house full families. But she wasn’t sure when — if ever — those transfers would take place. Trump’s order said families should be housed together at detention centers run through the Department of Homeland Security. But those facilities are likely strapped for resources, and it’s not clear how many families they can house. Disclosure: Jeff Eller, a communications adviser to Southwest Key, is a donor to and former board member of The Texas Tribune, a nonprofit, nonpartisan news organization that is funded in part by donations from members, foundations and corporate sponsors. Financial supporters play no role in the Tribune's journalism. Find a complete list of them here.